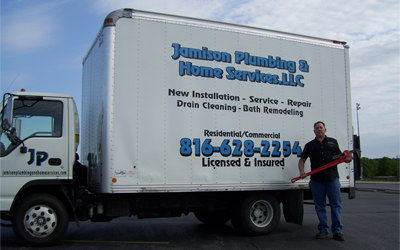 In 1992 Jamison Plumbing and Home Services LLC was founded on quality work, reasonable rates, friendly customer service, and a great guarantee. To better serve you, our master plumber is available both during and after normal business hours, as well as weekends to answer any questions or concerns. Schedule your appointment worry free as our master plumber is on every worksite, service call, and estimate. So why choose JPAHS? It's simply the best quality plumbing service at affordable prices. Our business is founded on skilled plumbing and superior customer satisfaction. With pride we have serviced a wonderful selection of clients year in and year out for over 25 years. We want to add you to our satisfied client list. For exceptional plumbing service, call JPAHS. Our quality specialized staff will work with you on any of your plumbing repair or emergency service needs. Whether it's new or existing construction, and regardless if it's simple drain cleaning or a bathroom remodel, no job is too small or too big, we are here for you. Remember we are available after hours and weekends for your convenience, another guarantee from JPAHS. Call today and schedule your appointment. Thank you for choosing JPAHS! Contact us for an appointment and pricing!